Emerging film Production Company Loki Films in association with BMJ Studios is foraying into Telugu Film Industry with their Production No – 1, produced by Sudesh, under the direction of debutante, Vasista Parupalli, who is also providing story and screenplay for the film. Ashwin Jarajapu will be introduced as the lead in this new age family entertainer that will be shot both in Hyderabad and USA. Top technicians, film editor Marthand K. Venkatesh and cinematographer P. G. Vinda are on board to deliver a slick and stylish film. Music director duo Vamsi & Hari have already composed foot tapping tunes. They have received tremendous response for the casting call poster that was released on Ugadhi, Omkar Kadiyam has been roped in as media designer for the film. After successfully wrapping a brief schedule in Hyderabad, the cast and crew is gearing up to resume a major schedule in USA. Anish kurvilla, shiva Narayana Naripeddi are playing pivotal characters in this film. The film is touted to be a complete family entertainer, being catered for all kinds of audience. 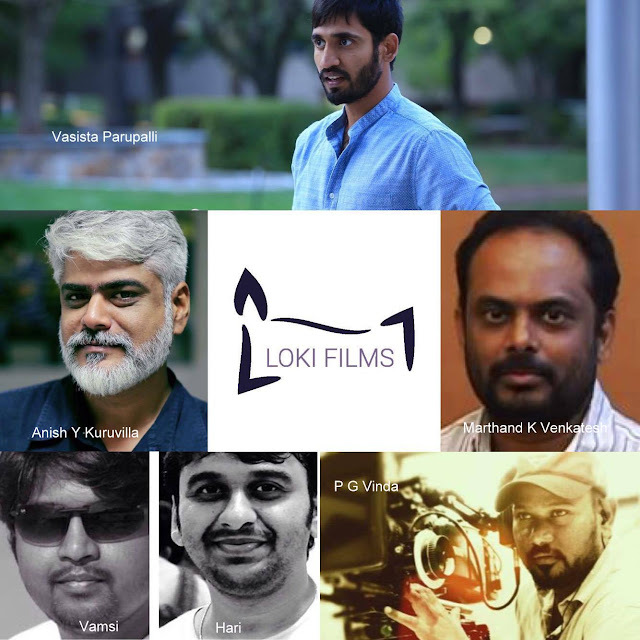 Loki films is determined to make its brand felt in the Telugu film industry, hence they are not compromising on the quality and have include some lavish locales of New York and Miami as part of their USA Shoot schedule to give a fresh feel to the telugu audience.